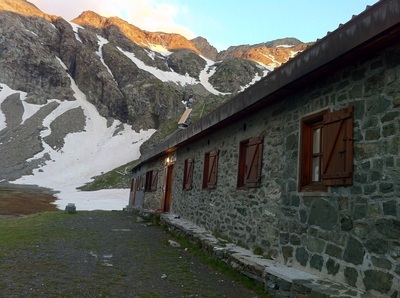 The Rifugio Cibrario is one of the most beautiful refuge in Lanzo Valleys. It is built in the so called Peraciaval bowl: the word Peraciaval comes from the local dialect ‘Pera a caval’, which means rock straddling: it is the rock, also called Roc d’la Veja (elderly person’s rock), which lies astride between the Pian dei Sabiunin, the detrital flat land where the refuge is built, and the Viù Valley. 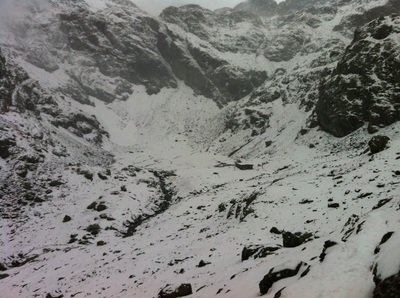 The refuge is in a pleasant and high mountain place. 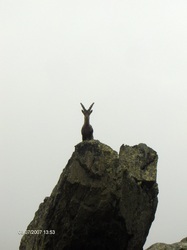 Here you can find a great deal of examples of alpine fauna (above all the steenbok, which you can easily observe on the rock near the refuge, on the opposite side of the river) and of alpine flora. In 1880 the Turin CAI (Italian Alpine Club) decided to build a refuge in this place, which was crossed by the communication routes between Lanzo Valleys (Italy) and France. One of the most important promoters of this initiative was the president of the Turin CAI, Luigi Cibrario, to who the refuge is dedicated. It was inaugurated in 1890, and after that date it was restored and extended lots of times. Since 1966 it is run by Leini CAI, who runs it in a voluntary way. The refuge is currently divided in two parts: in one there are the dining room, the kitchen and, upstairs, the winter room, always open; in the other one there are five rooms with six beds each one (the refuge offers 42 places, but they can be increased since the table in the dining room can be lowered in level with the benches, so as to obtain a planking on which some mattresses will be put). Near the entrance, on the right, there is a little room heated, where you can leave your hiking boots (and take a pair of mules) and you can dry your wet clothes. The warmth easily goes in the whole refuge, thus it is never a gelid place, but it is always warm and cosy. If it is still cold the dining room is heated by a stony fireplace, recently built. The toilets and the shower are supplied with hot water. The electric energy is obtained by a turbine driven by the water which falls in a conduit from the Lago del Peraciaval (Peraciaval lake): in this way there is no environmental pollution. 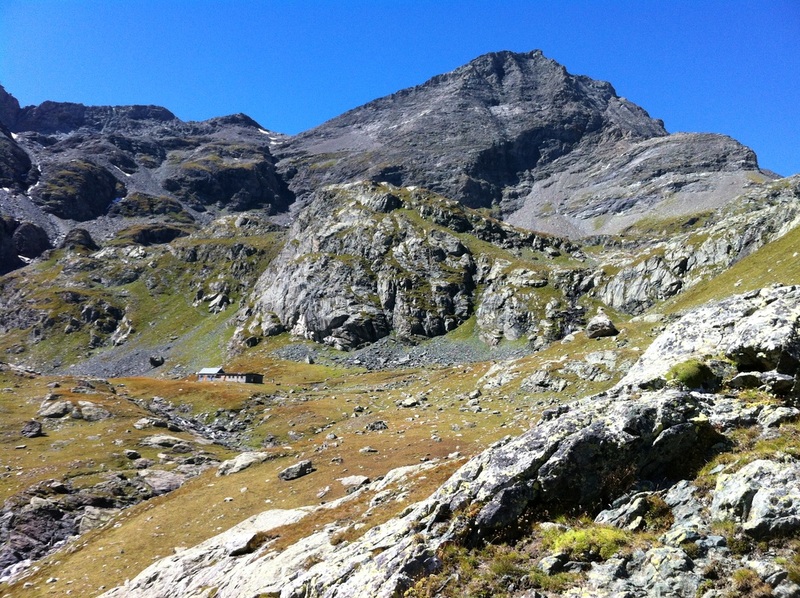 The Rifugio Cibrario is the base for the famous Tour della Bessanese and for other hikes and climbs on the surrounding mountains. From Turin take the SP1 road, passing through Venaria Reale, Robassomero, Fiano and Cafasse; then after a gallery you will be in Lanzo Valleys. Otherwise from Turin pass through Caselle, Ciriè, Nole, Mathi, Lanzo and Germagnano; passed the last one, at a roundabout, you will find the route previously described. Then turn left, following the indication for Viù Valley. Pass through Viù, Usseglio and, before the “Furnasa” restaurant, take the road (property of ENEL) which goes to the Lago dietro la Torre. Near Arnas Superiore, a bend before the bar which forbids the passage to unauthorized vehicles, a sign indicates the path for the Rifugio Cibrario. Parked the car, take the path which initially goes down and then goes up the opposite slope covered by alders. When you cross the old railway called Deucaville, mount on it using a wooden ramp, then turn right and walk on the railway; before the first gallery turn left taking the path. After having crossed the path which arrives from Margone, the track continues going up and arrives in the valley flown through by the Peraciaval river. Crossed the brook, the path climbs tortuously the opposite grassy slope. Passed near the Roc d’la Veja (not to reach) the path enters in the Pian dei Sabiunin, where the Rifugio Cibrario 2616 m is built (2 h 40’).